He continued on the PED issue before giving the floor to UFC president Dana White. “The Nevada state athletic commission didn’t get that test back until Tuesday February 3rd and we found out that morning,” said White. Fertitta then delved into the statistics from the current testing policy before presenting their new proposed policy. The statistics showed that 26.3% of the fighters tested out-of-competition (without a scheduled fight) came back positive for PEDs; while 1.3% of the 900 fighters tested in-competition (with a fight scheduled) came back positive for PEDs. The UFC spent around $500,000 last year for drug testing. In 2015, and moving forward the UFC plans to spend millions of dollars on more comprehensive testing of their fighters. A specific figure was never given during the press conference. The new plan being pushed by the UFC will be implemented July 1st, 2015 and includes 100% in-competition testing, random testing for out-of-competition fighters and 100% enhanced drug tests (more comprehensive and in depth testing) for 100% of main event and championship bout fighters. Penalties for first time offenders will result in either a two or four year ban depending on whether or not the athletic commissions will agree to the ban. The UFC’s main struggle with implementing this new policy will be dealing with the respective athletic commissions to validate and accept their suspensions. Executive vice president Lawrence Epstein stated that the UFC has been in discussions with many athletic commissions, but since they have to deal with so many across the globe, they’re skeptical they can have a deal done by July 1st with all of them. 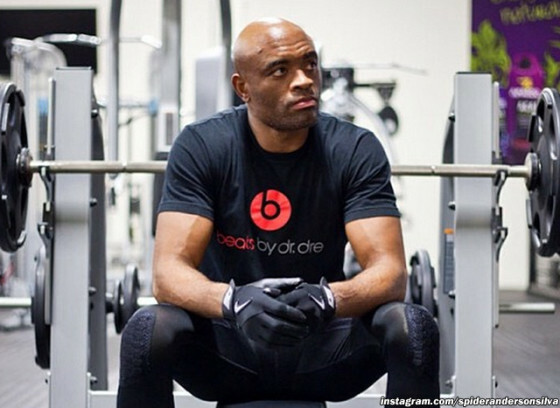 In related news, Silva is reportedly set to admit to “therapeutic use” of PEDs in the coming days.